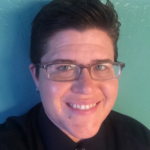 Kathryne Young, Assistant Professor of Sociology at the University of Massachusetts at Amherst, is an expert in criminal procedure, parole, rights assertion, jury selection, trial evidence, rural law, race, gender and class bias, sexual orientation and police-citizen interactions. Young worked at the San Joaquin County District Attorney’s Office, the Federal Defender’s Office for the Northern District of California and Stanford Law School’s Wrongful Convictions Clinic and Supreme Court Litigation Clinic. Her ethnographic work on legal consciousness in the policing of Hawaiian cockfighting was named the year’s top article by the Law & Society Association and the American Sociological Association’s Sociology of Law section. Her work on the role of sexual orientation in jury selection has been cited by the Washington State Supreme Court. She has been published in numerous academic journals including Law & Society Review, Harvard Law Review and Federal Sentencing Reporter. Young received her J.D. from Stanford Law School, Ph.D. in Sociology and B.A. in American Studies from Stanford University.